Relationship coach Sue Plumtree joins multimedia Yang-May Ooi on Creative Conversations to tell her story of divorcing at age 60 and discovering the courage and creativity to create a new life and business – and how she found true love at age 70. I was thrilled to speak to Sue Plumtree about her life and work helping women re-discover love and create new lives after 50. At age 73, she continues to be inspiring, fun and full of energy, creating new programmes for her clients and writing more books. 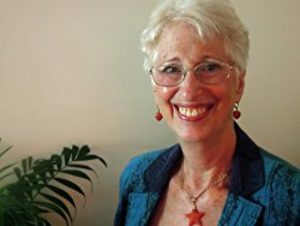 She shares her sassy but wise approach to life and live in our Creative Conversation and tells the romantic story of finding true love at age 70 with her soul mate, Paul. Here’s the video trailer with images and video of Sue Plumtree strutting her stuff in her fabulous life after 50 and showing some of the things we talk about in the audio podcast. You can listen to the full audio conversation about life after 50 with Sue Plumtree via the player below. Creative Conversations is a podcast celebrating creativity in the arts, life and business. It is part of the Tiger Spirit family of creative content, conceived and presented by multimedia author Yang-May Ooi.